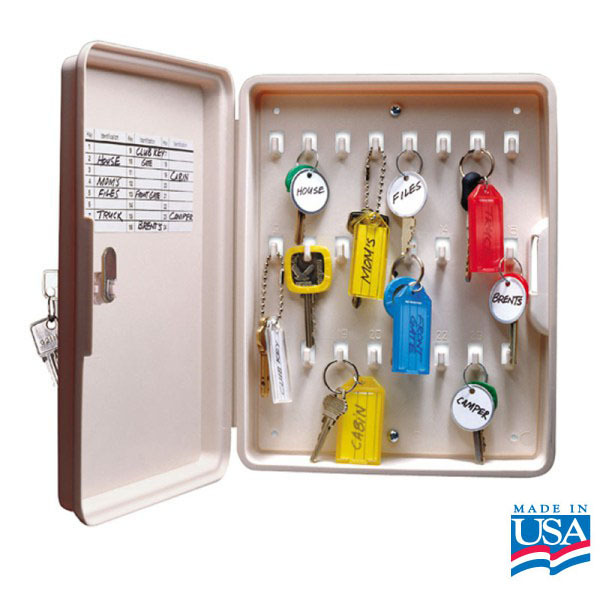 8.5" x 10.5" x 1.75" Almond Color Polypropylene Key Cabinet. Locking (2 keys included). 24 Numbered Hooks. Tags Sold Separately.